The Enumerable module is full of interesting methods, many of which aren’t commonly seen in the wild. This post looks at a few interesting ones. 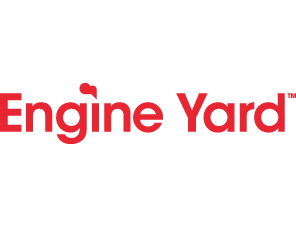 Deploy, Scale & Manage Your Ruby App with Engine Yard – 500-hour free trial! Focus on building great applications instead of worrying about the complexities of supporting production environments, time-consuming system admin & maintenance tasks. You have the flexibility to choose the levels of automation and control you need with our team of experts supporting you every stage along the way. Matt starts ‘Minitest seems to be enjoying a spike in popularity’ and this seems to be true with all the posts I'm seeing lately. MRI has a single global method cache per process, not per thread, and this can have implications in heavily threaded Ruby apps that perform certain operations. Aims to bring the advantages of static typing ‘without changing existing code’s behavior’. It lets you easily define runtime type check assertions, somewhat like contracts.ruby - but beware the performance implications. Added support for JRuby up to 1.7.19 and Android up to 5.1. Not Daniel Radcliffe, but magical nonetheless. Tiddle is a token authentication Devise authentication strategy that supports multiple tokens per user. How to use threads to hold websocket connections open without bogging down the server. Check your project now for free, and get 30% for 3 months after your trial with the code RUBYWEEKLYAP15. Learn how to manage your server’s logs and set up log rotation for your Rails logs. A long-time RSpec and Cucumber user reflects on a switch to MiniTest.